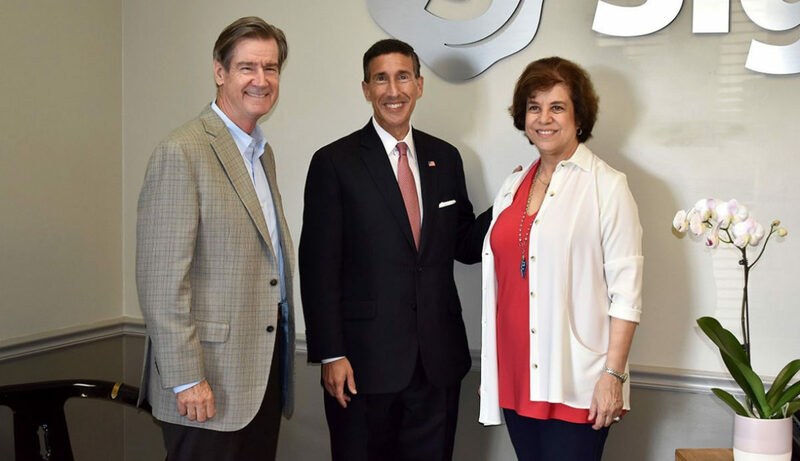 Signet was proud to host Congressman David Kustoff (R-Tenn) and his staff at our offices for Small Business Week. Following a meeting with him in Washington as a part of the Promotional Product Association International (PPAI) L.E.A.D. Initiative, he visited our offices in Memphis, TN to learn more about our industry and the challenges and opportunities we face as a woman-owned business. Association International (PPAI) is the trusted leader in the promotional products industry delivering essential knowledge, resources and community to ensure the success of its members, those who manufacture, import and resell promotional products, and the promotional products industry itself. Legislative Education and Action Day (L.E.A.D.) is held in Washington, D.C. by the Promotional Products Association International. Industry leaders from across the country meet with members of Congress and legislative staff to discuss the issues that matter most to the promotional products industry.